XTR12 is essentially an AR10 in 12ga. Currently, it takes 5 or 10 round box magazines, but 15/20/25 round drums are coming. This photo is an outtake from the upcoming Small Arms Review article detailing my experience with this gun. 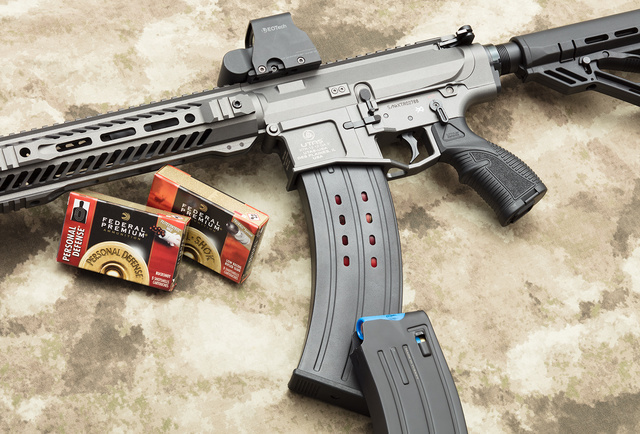 This entry was posted in ammunition, shotgun and tagged 12ga, AR10. Bookmark the permalink. Looks good. Too bad it’s from Turkey. Turkish shotguns include low-end junk and solid mid-range guns marketed under CZ, UTAS and other brands. This one seems rather solid to me. Perhaps BT’s objection is not quality but Turkey’s current government? Have they figured out box magazines that don’t squish the plastic hulls of the shells?